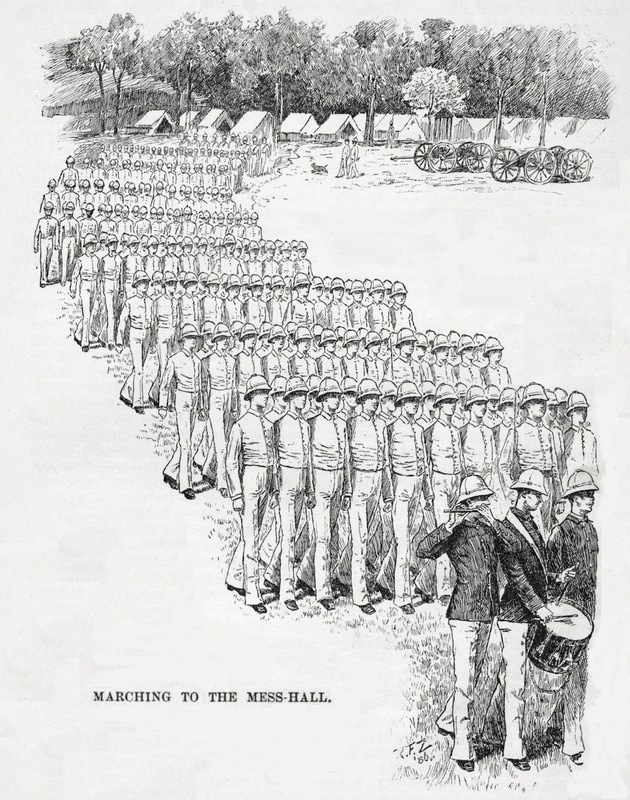 When the class of 1888 graduated from the U.S. Military Academy in June, there were so few of them that The Daily Graphic, an evening tabloid in New York City, had no trouble arranging their photographs on its two-page spread.1 Beginning their military careers during the final conflicts of the Indian Wars, some of these cadets would serve in the Spanish-American War, the Philippine Insurrection, the Mexican Expedition, and World War I. Harkening back to the Victorian era in which they were trained, five menus provide a glimpse of the foodways at West Point during the mid-1880s. However, some of the menus convey a deeper meaning, for they were saved by men who unexpectedly died while still young. Not in battle. Though in one case through a selfless act of heroism. 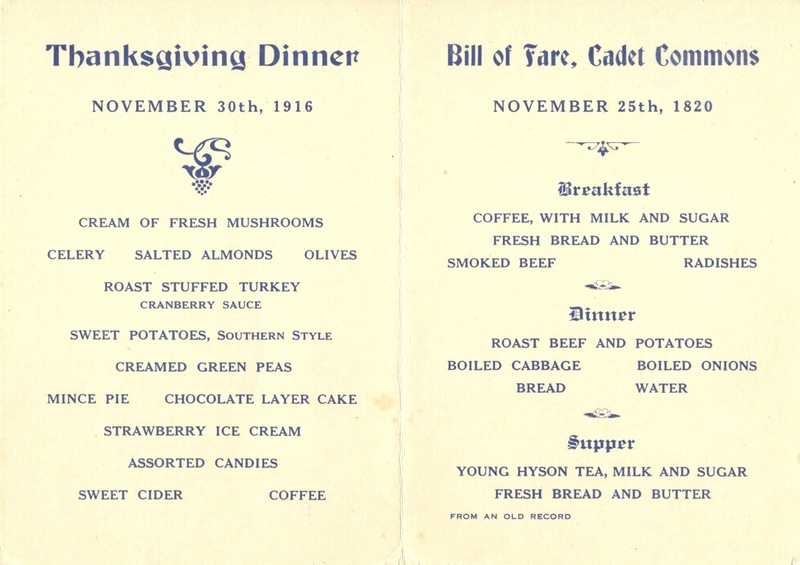 How these menus came to be preserved, and what this may tell us about the long cycle of mourning caused by a sudden death, adds a poignant dimension to these minor historical documents. 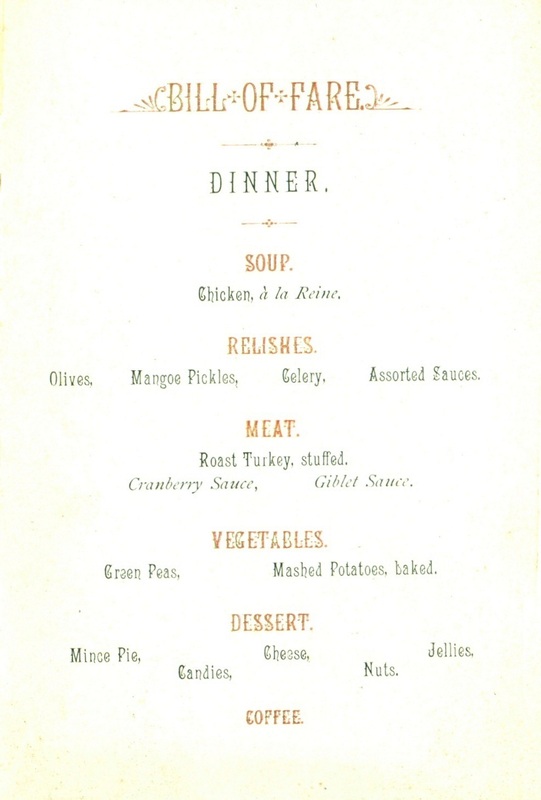 Exhibiting a somewhat unusual format, the daily menu below from 1885 lists dinner first, followed by supper and breakfast the next day. 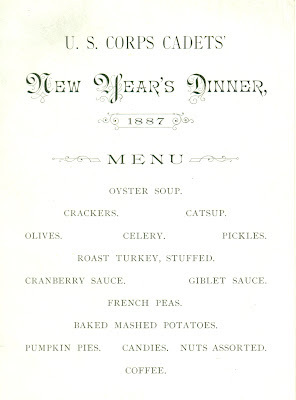 The names of the dishes are neatly written in Spencerian script, a widely-taught American style in the nineteenth century, favored for its speed and legibility. 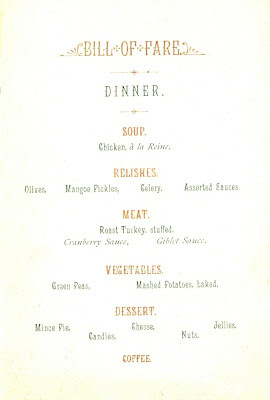 This menu shows a reasonably good variety of foods, including a different meat for every meal, such as roast “pig” for Sunday dinner and lamb chops for breakfast on Monday morning. Not surprisingly, it took some time for the “plebes,” as the first-year cadets were called, to get accustomed to this calorific diet. 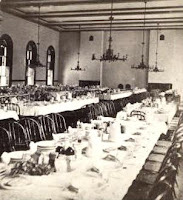 In the 1880s, dinner began at one o’clock and was scheduled for forty minutes, allowing time for conversation which was generally cheerful and unrestrained. 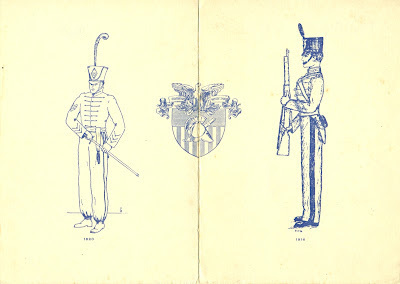 Nevertheless, a cadet was assigned at each table to insure that the rules of gentlemanly conduct were observed. 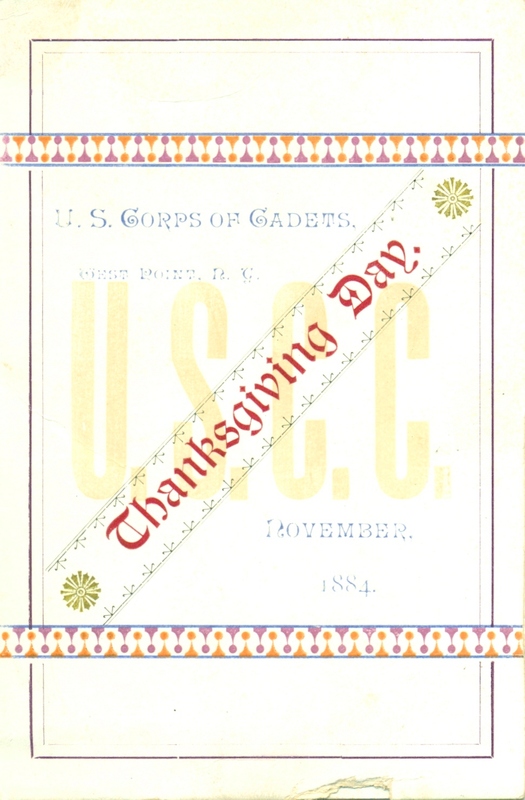 Dated April 27, 1886, the official slip of paper below was submitted by Cadet Corporal Charles Donaldson, confirming he had reported all violations of the regulations during his tour of duty at the Mess Hall. 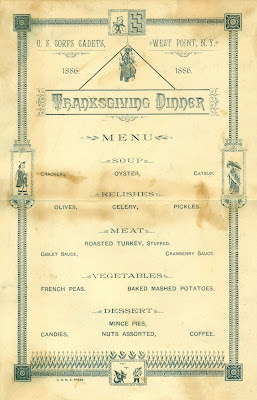 The Thanksgiving menu below from 1886 is an example of “artistic printing,” a style adopted by letterpress printers in the late nineteenth century to make their work more imaginative and arty. By using ornamental typefaces with quirky embellishments, they were able to imitate some of the delicacy and intricacy of more expensive processes like lithography and engraving. Printed by the USMA Press, this menu provides a small, but tangible example of the effort to make life a little more pleasant at West Point. Measuring 5 x 7¾ inches, it has a crease in the middle, marking where it was folded before being slipped into a pocket. 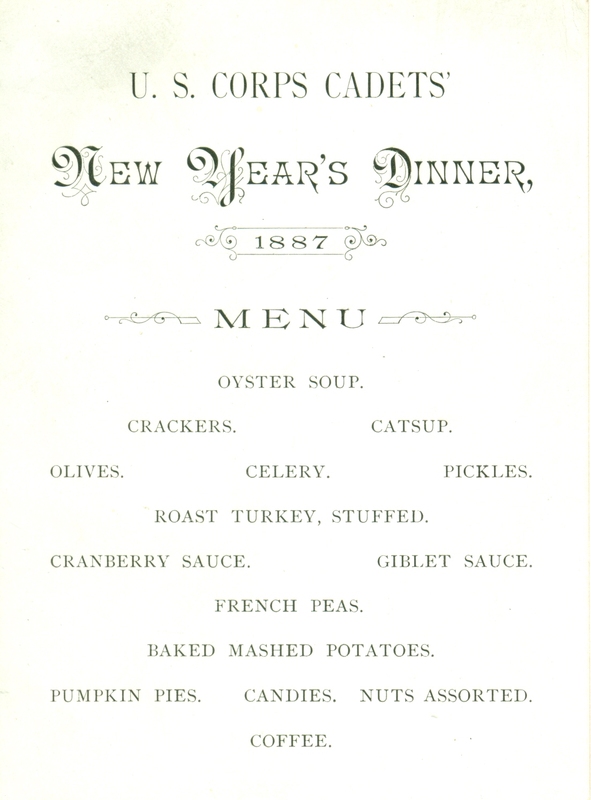 The menus for Christmas in 1886 and New Years Day a week later were also printed in the “artistic” style, as shown by the cards below, measuring only 4 x 5 inches each. Printers typically mixed different typefaces to create such unique compositions, selecting from the thousands of styles offered in the large catalogs of the typeface foundries. In fact, this charming Christmas menu displays six different typefaces from the MacKellar, Smiths & Jordan foundry in Philadelphia.7 The heading “Christmas Dinner” was printed using an 1884 typeface called “Arboret,” and the border was pieced together using characters mostly from an 1880 series called “Orient Border No. 90.” Both of these designs were created by the German-born cutter Herman Ihlenburg.8 However, some of the characters used for this border, such as the spider web and incongruous snake, came from “Chinese Border No. 91” which was cut (and perhaps designed) by William W. Jackson in 1881. 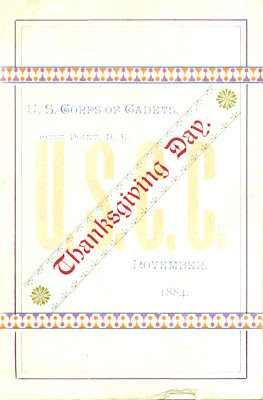 (This series by Jackson was used to print the border on the 1886 Thanksgiving menu.) 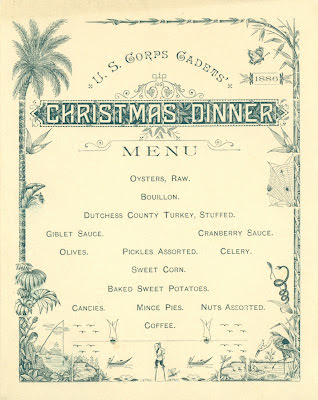 In addition to these typefaces, three other alphabets were used to create this Christmas menu. 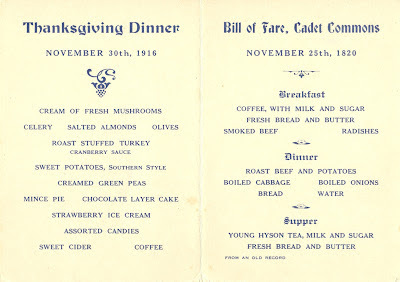 Both of these holiday menus were saved by Cadet Robert R. Chadeayne during his third year at West Point. 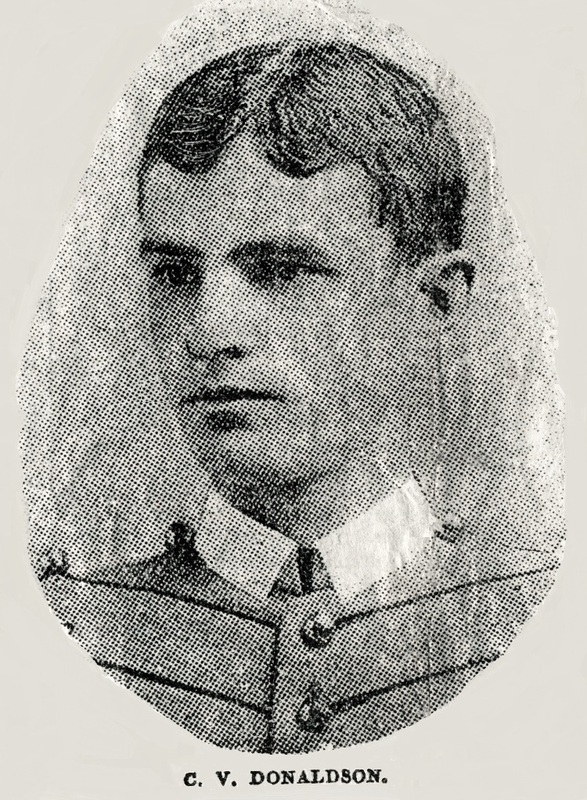 Chadeayne’s photograph was not included in the class picture published in the New York Daily Graphic because he died from an undisclosed illness in October 1887, eight months before graduation. His personal effects were returned to his family home in Cornwall, New York, only nine miles away, where they remained undisturbed in a trunk for the next hundred years. The central-Iowa farm boy, Charles Donaldson, also died young. After graduating in 1888, he was assigned frontier duty as a second lieutenant in the 24th Infantry, stationed at Fort Grant, Arizona. In July 1890, he took a leave of absence to visit his wife of less than a year who had just given birth to a baby girl in Santa Ana, California.9 Within a few days of his arrival, Donaldson went to the landing at Newport Beach to meet his sister whom he had not seen in five years. While waiting for the steamship to arrive from San Francisco, he saw two teenage girls who were swimming nearby being pulled out to sea by the strong current. Rushing to their rescue, he pulled one of the young women to safety and quickly went back out for the other. By then exhausted, both he and the person he was trying to rescue were overcome by the rip tide and drowned. News of Donaldson’s heroic death came as a shock when it traveled down “The Long Gray Line,” as the Academy’s alumni and students are known. 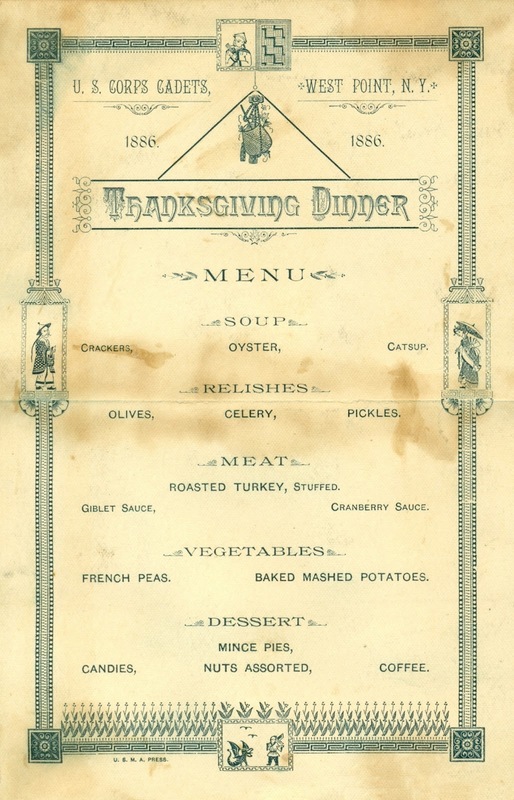 When a menu is saved as a memento, it is often mingled with other personal tokens like tickets, invitations, and newspaper clippings. Having little value or meaning for other people, such keepsakes are often discarded soon after someone dies. However, the scraps of paper saved by Chadeayne and Donaldson took a particularly long time to appear in the market. While there could be any number of reasons for this, it may reflect how unresolved grief slowly dissipates in a family, as the story is passed down from one generation to the next. In these cases, the process played out over many decades before the ephemera were finally disbursed. 1. 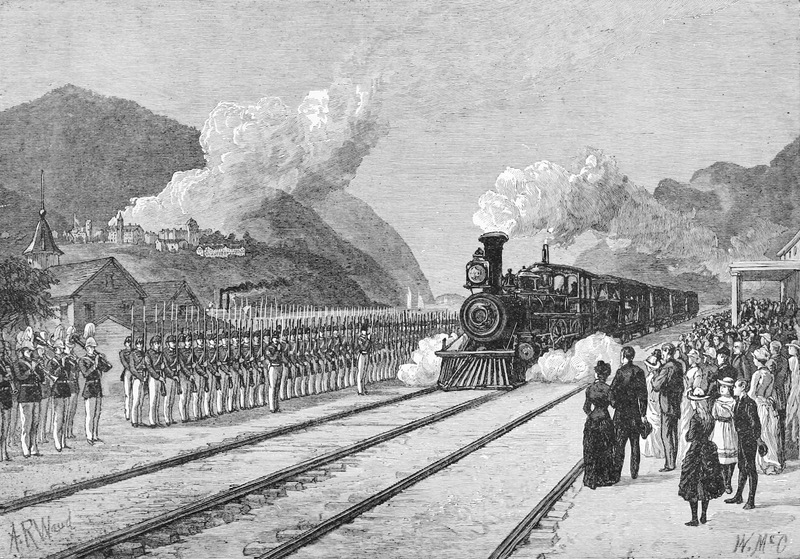 The Daily Graphic, 16 June 1888. An evening tabloid published in New York City from 1873 to September 1889, The Daily Graphic was the first American newspaper with daily illustrations. 2. Officially named Grant Hall, this cadet mess hall was completed in 1852, the same year Robert E. Lee became superintendent of the U.S. Military Academy. 3. William C. Muschenheim returned to New York City to become the steward at the Lotos Club, and later went to the New York Athletic Club when it relocated to a new building on 55th Street and Sixth Avenue. In 1889, Muschenheim opened a large restaurant named the Arena on West 31st Street, near Broadway. Capping his career, he became the proprietor of the new Hotel Astor in 1904 when it opened on Times Square. 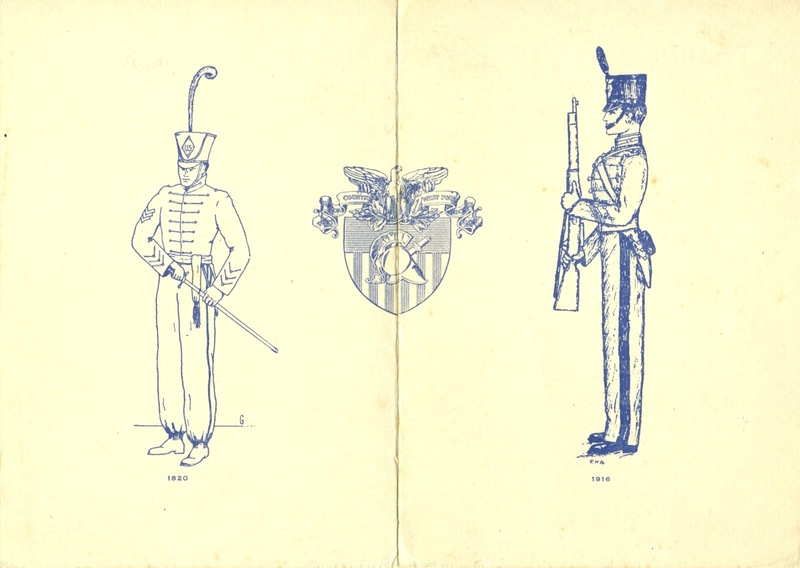 Muschenheim was fondly remembered by the USMA alumni who held their reunion dinners in New York at the Hotel Astor. The long relationship was expressed by the saying: “Muschenheim belongs to the army and the army belongs to Muschenheim.” New York Times, 26 October 1918. 4. Charles King, “Cadet Life at West Point,” Harper’s, July 1887. 5. Today, approximately 1,300 men and women enter the USMA in July; about 1,000 cadets graduate each year. 6. George Washington was posthumously appointed to the six-star rank of General of Armies in 1976 as part of the American Bicentennial celebrations. 7. MacKellar, Smiths & Jordan (MS&J) was the first permanent type foundry, issued the first catalog, and grew to become the largest foundry, operating longer than any other. During the nineteenth-century boom in publishing and advertising, MS&J was one of twenty to thirty firms (the number fluctuated with mergers) in America that manufactured large quantities of typeface (sold by the pound) in diverse and expressive styles. Reflecting the visual culture of the young and growing country, MS&J’s enormous specimen book in 1868 comprised 603 pages. Doug Clouse, MacKellar, Smiths & Jordan, Oak Knoll Press, New Castle, Delaware, 2008. 8. Although type-designers were anonymous laborers, unknown outside their industry, Herman Ihlenburg is now recognized as having been one of the most important type-designers in the United States. Trained as an apprentice at Trowitzsch & Son, a typeface foundry in Berlin, he went to work at MS&J in 1866, where he is credited with having “drawn and cut” over eighty alphabets (including thirty-one borders) in more than three hundred sizes, or fonts as they are called. It is estimated that he cut over 32,000 punches by hand during his thirty-year career. William E. Loy, Nineteenth Century American Designers and Engravers of Type (1906), edited by Stephen O. Saxe and Alastair M. Johnston, Oak Knoll Press, New Castle, Delaware, 2009. 9. Charles Donaldson married Mary Elizabeth Pitman in Boone County, Iowa on 23 October 1889. Although newspaper accounts of Donaldson’s death made no mention of it, birth records show that Charlotte Victoria Donaldson was born of this marriage on 7 July 1890, nine days before his arrival in California. This explains the timing of Donaldson’s leave of absence and the life insurance policy he purchased on the day after he arrived. Henry, I like your final paragraph on mementos and their journey to the marketplace. Wonderful post! I loved the explanation as to what constituted "hash" at the Academy. Oh, how interesting, and poignant, Henry. As it happens, we have new friends, a married couple, who are both West Point grads. One is graduating from Harvard Business School in a couple of days, the other is at Harvard Law School. I'm going to send them the link to this great piece of writing. Thank you for posting!